BREEAM Excellent, top-quality, city-centre office accommodation. St Vincent Plaza in Glasgow is the second in a new series of speculative office buildings to be developed and equity financed by Abstract. St Vincent Plaza has been designed to provide top-quality, city-centre office accommodation. 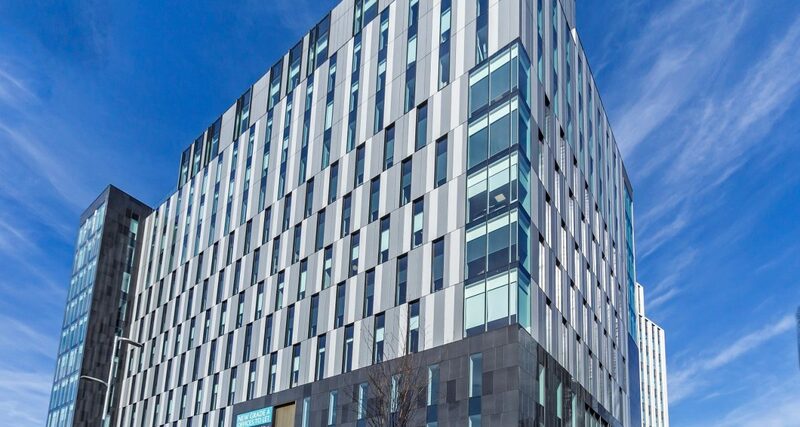 It provides very efficient and environmentally-friendly office accommodation and will be delivered into a Glasgow office market where the supply of new Grade A offices has significantly reduced. This striking building provides 170,000 sq ft of Grade A office space over lower ground, ground and 10 upper floors, plus ground floor commercial unit. A prestigious double height reception, concierge-style services including Internet Goods Store and virtually column free, flexible floor plates of 17,000 sq ft.
DSSR were responsible for the scheme design, design monitoring role and BREEAM. The scheme is intended to undercut rivals in the Grade A office rental market through delivery of a cost effective building on a prominent plot, whilst achieving a BREEAM ‘Excellent’ standard and EPC ‘B’ rating.